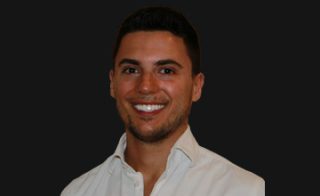 José Marinho joined Aura Dental in May. His special interest is restorative dentistry. Here he answers your questions about Veneers. A veneer is a very thin layer of life-like porcelain attached to the front surface of your tooth only. Porcelain veneers are very strong and can last many years if they are maintained properly. They are very natural looking and are easy to look after. The main benefit of veneers is that they do not require for your own natural teeth to be heavily filed and just by changing the look of the front surface of your teeth, you can change the way you whole smile and face are perceived. 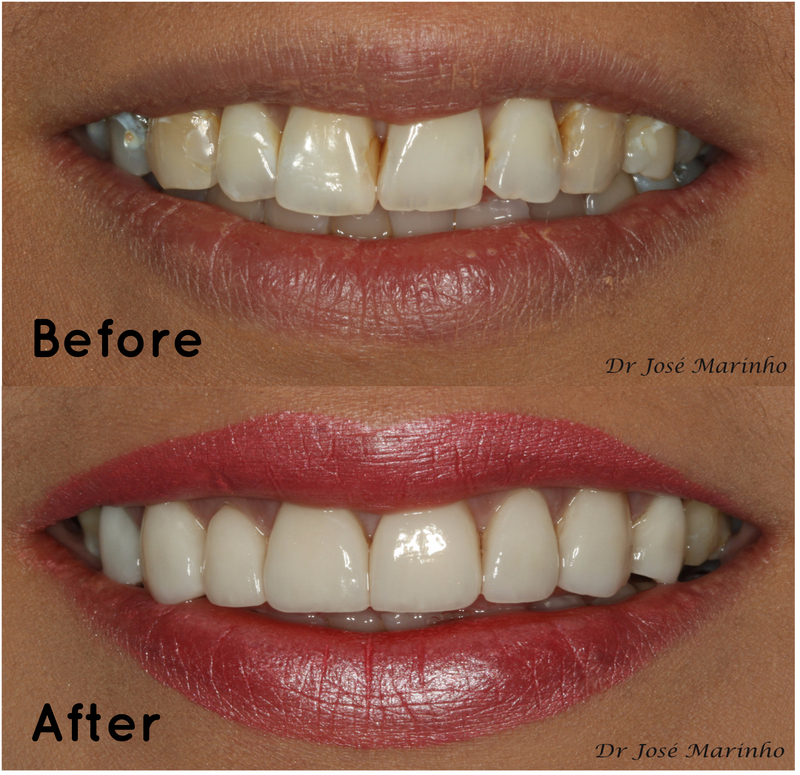 Veneers are what you see on many celebrities in magazines and on TV. There may be cases where Veneers are not suitable. In this situation, our clinicians will guide you through your alternative options. On your first appointment, you and your dentist will agree on the desired final shape and colour of your veneers. Once the decision is made, you will be invited for a veneer preparation appointment during which the front surfaces of your natural teeth will be appropriately prepared for future veneer placement. Your dentist will take an impression of them and send it off to the laboratory where your custom made perfect veneers will be made. This process usually takes about 2 weeks. In the meantime, you will be provided with temporary veneers, which also look great and enable you to start getting used to a new life with a beautiful smile. Once the permanent veneers have been fully constructed, you will be invited for veneer fit appointment, where your dentist will remove you temporaries and permanently place the final veneers on your teeth. Then it’s back to life as normal…with a brand new smile! Veneers at Aura start from £500 per tooth or from £450 if you are one of our members. Our Treatment Coordinator will be happy to answer any questions you have about the treatment and/or the practice. You can call or email the practice at any time and if you’d like to come in to have a look around, just let us know and we can arrange it. You will need to have a comprehensive dental examination with your dentist to ensure you are suitable for veneers. There is a cost of £50 plus any x-rays for this appointment, however should you wish to proceed with veneers treatment, the cost of this initial examination will be deducted from the final cost of your treatment. You can talk to our Treatment Coordinator about payment options and plans. The practice offers 0% finance for up to 12 months for treatment costing over £600 and is happy to discuss alternative payment plans to suit your circumstances. If you are interested in getting veneers, give Aura Dental a call or email us to book a consultation with our treatment coordinator or arrange an examination with me, or one of my fellow clinicians at the practice. I hope to see you soon! This entry was posted in Blog, Cosmetic Dentistry, Teeth Whitening, Veneers on 7th July, 2017 by Aura Dental.